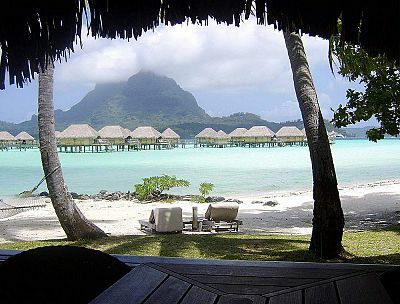 Our expert travel agents have gathered together this list of their favorite hotels and resorts in Tahiti. Read what they have to say about why they like each particular resort, and what kinds of travelers each is great for. "My all-around favorite resort in Tahiti: it's got a stunning location, with fantastic views of Mount Otemanu from all the bungalows. The beach and garden bungalows are gorgeous, private, and creatively designed, and the overwater bungalows are equally incredible. There's more to do here than at the other resorts: it's got its own mini golf course, among other things! The grounds are beautiful and well-grown in; it doesn't have the sterile "just planted" feel that some of the newest-built resorts have. The spa is breathtaking, placed in the middle of a beautiful lily pond. 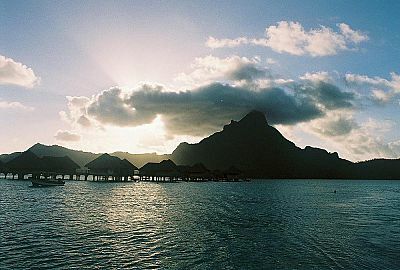 The entire resort has a very natural, authentic Polynesian feel." 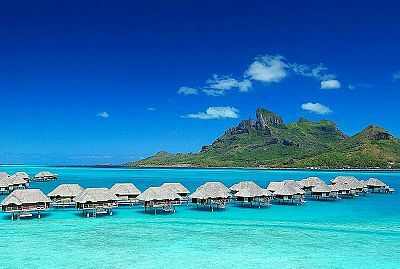 "Bora Bora Pearl is a great value if you want to experience an overwater bungalow for a few days without breaking the bank. A fun fact for you: Bora Bora Pearl Beach Resort and Spa is pioneering an underwater coral nursery to propagate coral growth and encourage lagoon fish. This is underway directly beneath the overwater bungalows. Guests can snorkel around the nursery to admire the coral below, while underwater signs posted at intervals give explanations of the work that is being undertaken. Snorkelling tours are also led daily by the resident marine biologist, who supervises the project. "Absolutely stunning! The Four Seasons has successfully combined classic Polynesian architecture with luxurious services and amenities. Surrounded by lush gardens, a tranquil lagoon, and the deep-blue Pacific Ocean, the resort primarily attracts sophisticated couples and families seeking a secluded island vacation. 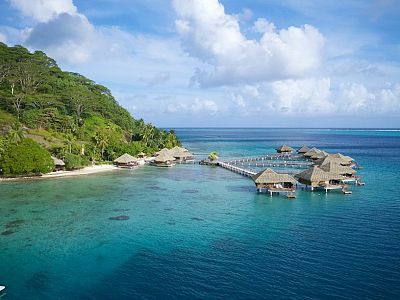 If its your desire to be active yet not leave the resort grounds, the Four Seasons offers a plethora of activities includin sunrise yoga and polynesian dance (surcharge) as well as water sports of all types." "Heavenly, True Romance - through and through. Exquisite from the moment you step onto the landing for your flawless check in to your arrival at your bungalow. Luxuriate in all that the resort has to offer - you have arrived!" "This resort has vintage class and charm. Somehow they've combined the Polynesian feel of the overwater bungalows with classic antique furniture in the bungalows--and it doesn't feel out of place. The spa is perched at the top of the hill overlooking the resort, facing west. I haven't been there at sunset, but I'm sure the sunsets make for spectacular photos from there." "5 Star, "Green" luxury. The InterContinental Thalasso, modern with a Tahitian flair. This all over-water resort, one of the islands elite properties with incredible views of Bora Bora's lagoon and world renowned Mount Otemanu. Request an end of pontoon bungalow for ultimate privacy. Fun IC fact: Your meal plan can be used at both the IC Thalasso or the IC Le Moana!" "This place is great for families, with easy snorkeling for kids (and beginner adults), a turtle sanctuary and the dolphin experience. The bungalows have a bit of a different look from many of the other resorts, and are spread over an interesting physical layout--see the map and you'll understand what I mean. 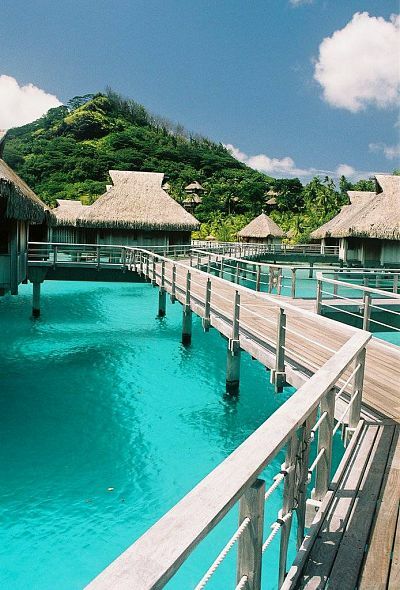 The spa is gorgeous, and you're in a great location for exploring the rest of Moorea as well." 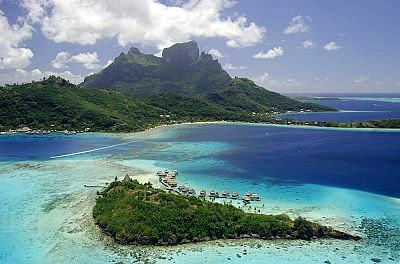 "Apparently Bill Gates stays here when he comes to French Polynesia--that should tell you something :-). With privacy and quiet that comes from being a fair distance from the resorts on Bora Bora, you can still get stunning views of Otemanu from around the resort." "I love this resort! It is the essence of luxury! Le Taha'a is a true 5 star, luxury, boutique resort. If you are looking for the ultimate romantic escape where the 2 of you are able to unwind and reconnect - this is it! Dining at Le Taha'a is a treat. All of the meals we enjoyed at the resort were perfect in taste and presentation." "Don't let the remoteness of this resort keep you away! If you are looking for a true "get away from it all" experience, then the Royal Huahine may be just want you want, what you need, what you crave. Serene...accessible only by boat, enjoy the white sand beach and endless, endless blue skies! Here, you may do as much or as little as you'd like. "Very small and "boutique" in feel, with bungalows nestled into the hillside in addition to the overwater bungalows. The restaurant is very unique and beautifully designed, with possibly some of the best views in Bora Bora. 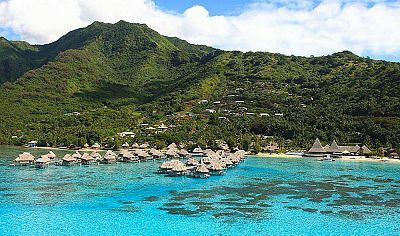 Snorkeling here is fantastic: there's an amazing coral garden between this motu and the Intercontinental Le Moana resort on the main island." 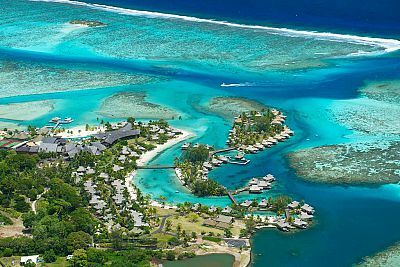 "Probably the most elegant and sophisticated of the Moorea resorts, the Sofitel was renovated to the tune of 10's of millions of dollars about 10 years ago. Great coral heads just off the overwater bungalows for snorkeling. Stunning interior design and decoration. 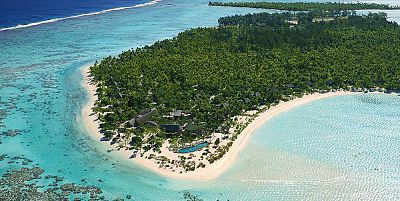 "The Brando is a brand new resort - ultra all inclusive (which you don't find in Tahiti). Their motto is "you are not observing nature, you are in it". This is luxury in the pursuit of adventure all the way!"